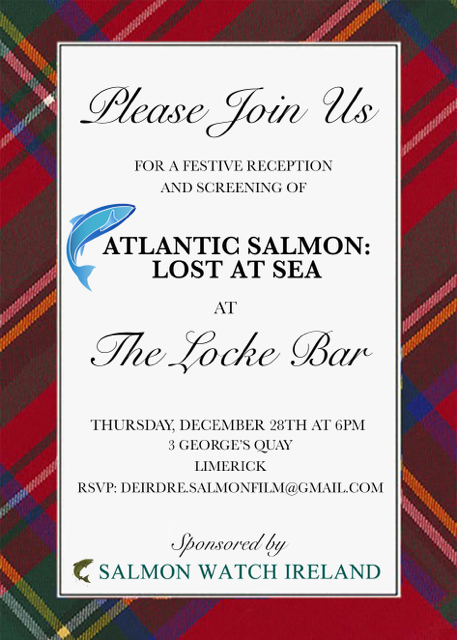 Salmon Watch Ireland would like to invite you to a viewing of Lost at Sea in Limerick on the 28th Dec 2017. This is a most worthwhile experience as it gives anglers and interested parties an opportunity to experience and comment on the various factors which affect Atlantic salmon on their oceanic journey. Please RSVP to address below.